Home Elegant Studio Lulu Mall is an elegant hotel with individual units across the property and with view that can take you right to rural Kerala in a glimpse. Guests can also lounge around in that beautiful backyard garden within the property. 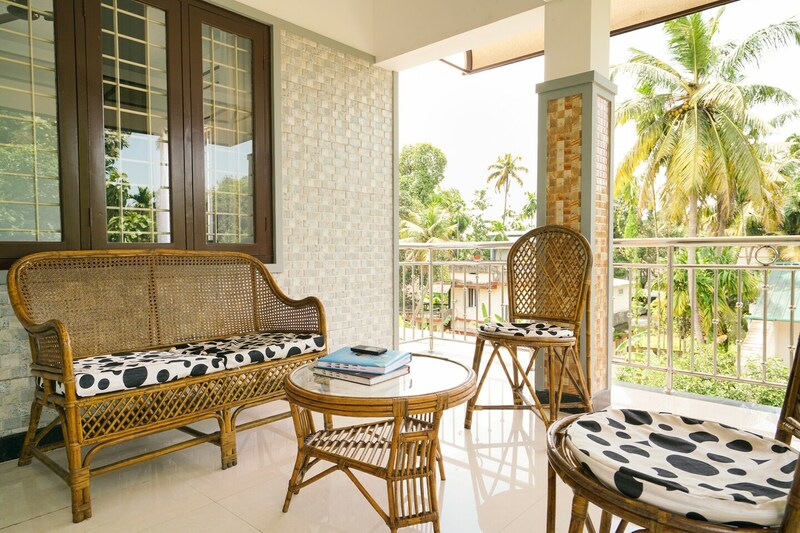 Centrally located at a stones throw from the Edappally Church and Jawaharlal Nehru Stadium, guests can be assured of an enjoyable and relaxed stay. The rooms are spacious and cheerful, while the kitchen has all the modern conveniences including a mini fridge.Most popular landmarks in the vicinity include the Kerala Museum, St. Francis Church and the Cochin Shipyard.